FSNL Recruitment 2018.Ferro Scrap Nigam Ltd BHILAI has released a notification for the recruitment of Dy,Sr and Manager vacancies.Check the eligiblity and notification prior to apply for the positions. Last Date for Submission of Application is on Sep 24th, 2018..
Qualification: Degree (Engg), CA/ ICWA/ MBA with working experience. Filled applictions may be sent through Post only to Asst. 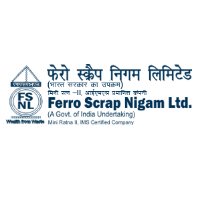 General Manager (P&A), Ferro Scrap Nigam Limited, Post Box No. 37, FSNL Bhawan, Equipment Chowk, Central Avenue, Bhilai, Dist: Durg (Chhattisgarh), latest by 24.09.2018.